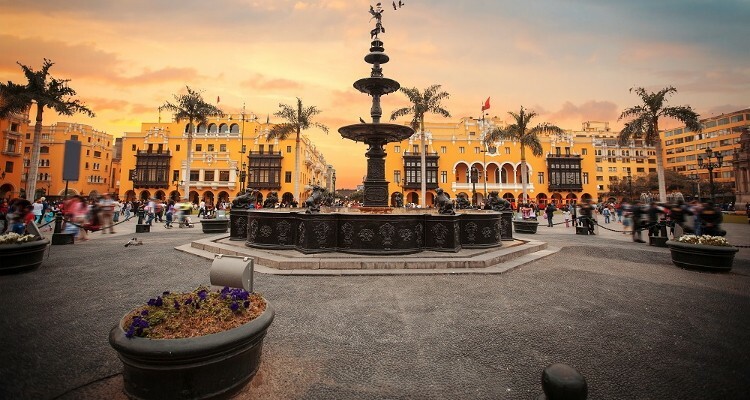 Lima is the capital of Peru and while it has a few quirks that are not that great, the entire city can be fascinating and enlightening if a person knows where to go. No one will find luxurious or lavish things in this city, but that is never supposed to be a person’s goal when traveling. Instead, people are supposed to immerse themselves into the local culture and traditions, to learn more about the area and the people. A person should go straight to the Plaza de Armas when they arrive in Lima. This is where the Archbishop Palace is located as well as the Presidential Palace. The streets around the plaza are filled with numerous shops and restaurants that everyone will love. This convent dates back quite a few years to the Spanish Conquest, so both the inside and out are considered ancient. While the famous art work and ancient library are good places to start, no one will want to leave before they see the catacombs. At the catacombs, some people may feel a little bit out of sorts as they see a lot of human skulls, but the experience is worth the discomfort. The Museo Larco is considered one of the best museums in all South America. The exhibits show a brilliant display of Pre-Columbian art work that shares the Inca culture. Everyone should take some time to sit out in the courtyard as they enjoy a cup of coffee and a bite to eat from the excellent restaurant inside the museum. This huge park can be found in the middle of the city and no one will miss it, because it is filled with hundreds of water fountains. The park has been around since 1929 and while there is no bad time to visit, everyone will want to go there at night when there are laser shows that illuminate the entire park. The tall cliffs are the highlight of Miraflores and people are encouraged to explore them all in depth. There are also numerous parks in this area, but the most popular one would be the Parque del Armor. At the end of all the cliffs, people will spot a little lighthouse. When visitors are finished exploring, they will want to stop in one of the many restaurants or bars for some delicious food and a drink. Huaca Pucllana is a humongous pyramid that was constructed from adobe and clay in the middle of the Miraflores area. While viewing the pyramid might seem amazing enough, the whole truth that it survived over 2,000 years without becoming damaged makes it magnificent. The reason for that is that one large rainstorm could have washed it away over the years, but since it is so dry in Lima, it hasn’t been a major concern. The entire historic center of Lima was declared as a UNESCO World Heritage Site back in 1988. This area is where visitors will see quite a few ancient houses with spectacular balconies. This museum is beginning to show its age, but that doesn’t mean that the exhibits are not worth a visit. Some of the best items to see include ceremonial knives, burial masques, and an entire collection of Pre-Columbian works made from gold. Pachacamac is a large archeological site that is located to the Southeast of Lima. The site was used until the Spanish Invasion, but the oldest buildings have been there since 200 A.D. This area is one of the best places to see and learn about the real heritage of this country. The water in the Pacific is not that great in terms of calmness or warmth, but it is perfect for those who want to go windsurfing or just surfing. The strong winds allow the waves to be perfect for these two sports, which is wonderful for those water sports enthusiasts. The Museo de la Nacion is the largest museum in the city that is run by the government. The best exhibits in the museum include the items in their archeological collection. While they do have permanent exhibits, they also have rotating temporary exhibits, so there is always something new to see when a person visits. There are numerous religious festivals in Lima, especially during the months of May and June. Each one is filled with music and people in colorful costumes. There are so many areas of Lima that are perfect for exploring at night, at least near the main roads. The four best places include the Parque de le Reserva, Huacca Pucllana, Miraflores, and the historical center. This museum can be found in the center of the city and the entire inside includes collections that relate to money and the history of money. Visitors will see a lot of coins in different shapes as well as different metals that are used. Paragliding is something that everyone should attempt from the cliffs in Miraflores, because the views from above are amazing. People can choose to paraglide on their own or they can go on a tandem one with an experienced paraglider. The Casa di Aliaga is a mansion that was constructed back in the 16th century and it is believed to be the oldest house in South America. People will be amazed as they see this building that has survived many earthquakes, fires, and other disastrous events in the city and country. Ceviche is Lima’s famous seafood dish that contains fresh raw fish that is cured in lemon or lime juice and then spiced up with either aji or chili peppers. Some people will also add salt, chopped onions, and cilantro to this dish. The ceviche is then served with dishes like sweet potatoes, lettuce, corn, avocado, or plantains. The shopping center at Gamarra has twenty thousand textile shops, outlets, and other stores. Shoppers can find everything from famous designer brands to cheap knock-off items. However, the best purchases will be the local fashion options that are available. The bullring at the Plaza de Acho is the best and it is actually considered a national historical monument. This bullring opened in 1766 and it is the second oldest one in the entire world. The bullfights are only held during certain festivals, so people should plan their visit accordingly if they wish to see one. The Pisco Sour is the most popular drink in Peru and it is made from Pisco liquor, lemon juice, egg white, and syrup mixed together. They can be found anywhere, but the best places to enjoy one include salsa bars or a rooftop bar in Miraflores. Everyone will enjoy the fact that is hardly ever rains in Lima, but they will also have to get over the fact that the sun is not out too much and clouds fill the skies on a daily basis. However, despite all that, this capital city is a great place to visit. There are so many fun and unique things to do and on top of that, everyone can sit and relax while they enjoy their ceviche and pisco sour.